Download Restaurant Landing Page Template Free PSD. This is a clean and modern design template perfect for you and your clients who serve food and drinks. 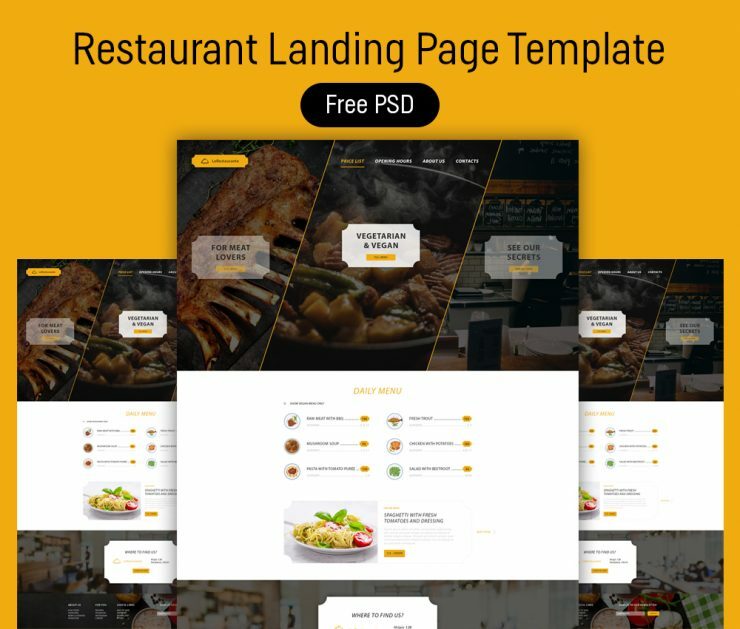 Also If you are looking for a free restaurant website template than this Restaurant Landing Page Template PSD might be really useful. It is also perfect choice for those who have a restaurant, cafe, pub or bar. Restaurant Website Template Free PSD has a clean design template and by using Restaurant Landing page Template Free PSD your products and services will look more attractive and modern in front of your customers online. Hope you like it. Enjoy!